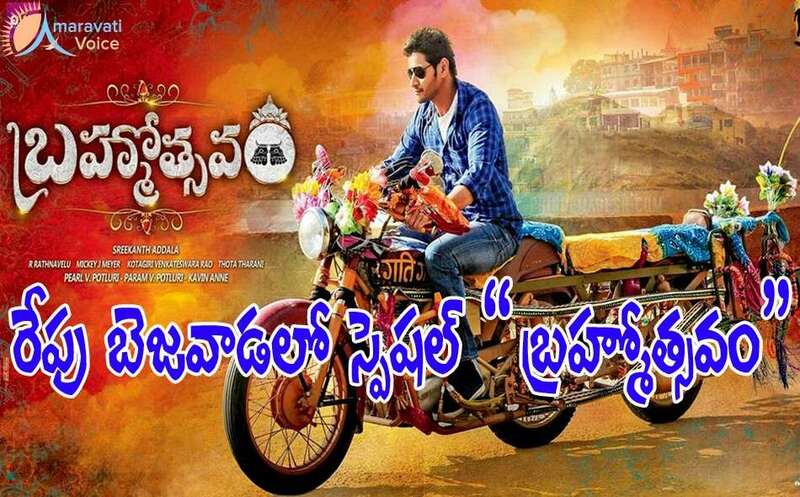 A special show of Prince Mahesh, Brahmotsavam is going to be screened for VVIP's and VIP's in Trendset Mall at Vijayawada. But, this is not out of cinema passion. This is to promote the green cover and plantation in Vijayawada city. White Wings Company who has conducted Swarnandhra Olympic Run in 2015, is also promoting this event. This time, they have come up with a theme of Green Cover, and they will distribute the saplings to the VVIP's and VIP's who are coming to the special show. The show is planned at 10.30 PM on 20th in Capital Cinemas, Trendset Mall. Around 350 VIP's in the city are invited to this special show. City top cop Gautam Sawang, Municipal Commissioner G Veerapandian, MP Kesineni Nani and the MLA's of the city are also invited.